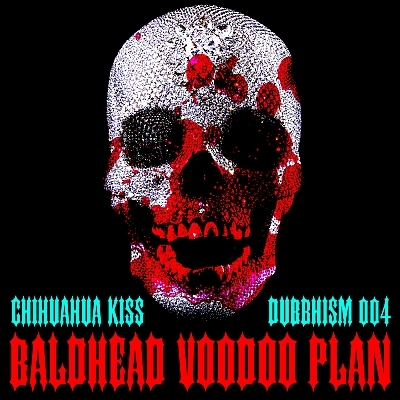 "A tale of dirty diamonds and haunted hi-hats.."
Dubbhism proudly presents the album Chihuahua Kiss by Baldhead Voodoo Plan. The title track sets the mood: it's like a dubstep theme for a Tim Burton movie. From there on you know that things will get worse. The main ingredients include jungle fever, manic voodoo rituals and brutal dubscapes. And of course you can't trust anybody, nothing is quite what it seems etc. etc... you know what it's like.